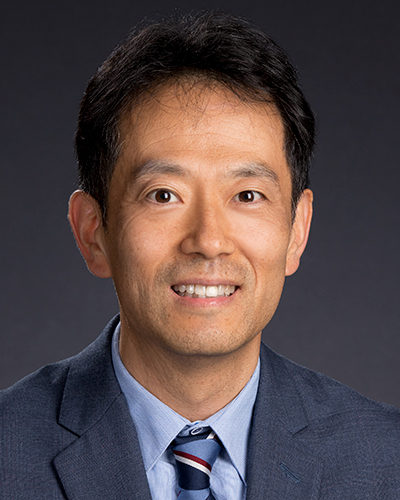 Seung Choi is a psychometrician with expertise in applying modern psychometric theories and techniques in developing and validating educational, psychological, and patient-reported outcomes measures. He teaches graduate courses in psychometrics, including Psychometric Theory and Methods, Item Response Theory, Computer Based Testing, and Applied Psychometrics. His research interests are in the development, application, and dissemination of computerized adaptive testing programs. Choi, S. & Van der Linden, W. J. (2018). Ensuring content validity of patient-reported outcome: a shadow-test approach to their adaptive measurement. Quality of Life Research, 27, 1683–1693. Choi, S. W., Moellering, K., Li, J. & Van der Linden, W. J. (2016). Optimal reassembly of shadow tests in CAT. Applied Psychological Measurement, 40, 469–485. Choi, S. W., Schalet, B., Cook, K. F. & Celia, D. (2014). Establishing a Common Metric for Depressive Symptoms: Linking the BDI-II, CES-D, and PHQ-9 to PROMIS Depression. Psychological Assessment, 26, 513–527. Choi, S. W., Gibbons, L. E. & Crane, P. K. (2011). Iordif: an R package for detecting differential item functioning using iterative hybrid ordinal logistic regression/item response theory and monte carlo simulations. Journal of Statistical Software, 39(8), 1–30. The goal of this project was to serve as a coordinating center for a NIH-Roadmap initiative, developing a dynamic internet-based computer adaptive testing system for the national PROMIS (Patient-Reported Outcomes Measurement Information System) network. The primary objective of this project was to create a toolbox of brief measures for the assessment of neural function across diverse study designs and populations. The PRO Rosetta Stone (PROsetta Stone®) developed and applied methods to link the Patient-Reported Outcomes Measurement Information System &#40;PROMIS&#41; with other related instruments (e.g., SF-36, Brief Pain Inventory, CES-D, MASQ, FACIT-Fatigue) to expand the range of PRO assessment options within a common, standardized metric. It provides equivalent scores for different scales that measure the same health outcome.